The organization is using bus topology which is easy to install and cost effective as only a backbone cable is required to connect all the computers but there are several issues with bus topology. For example, if the server or cable fails then entire network goes down. Also the problem detection is difficult in bus topology. At other side, start topology uses dedicated cable connections to computers so that problem in connectivity issues can be tracked easily. Also the addition and removal of devices in network does not affect the connectivity of other devices in network. Easy to install and manage makes the start topology as the suggestion to replace bus topology in network infrastructure. Star topology is effective to deliver performance as signals need not to pass from workstation to workstation as happens in bus topology (Pandya, 2013). Al though, the initial cost of cables and switches may be high to set up the network. However, the issue of switch failure can break all the devices in start topology. In order to update the network topology and hardware, organization needs to purchase switches so that bandwidth can be distributed in star topology. 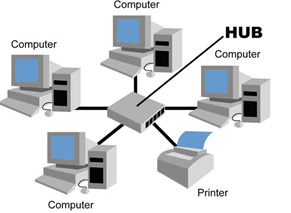 Switches are required to connect the computers in star topology. Organization also needs to purchase category 5 or 5e cables as the network requires dedicated connection with switches and hubs and cable of category 5 is effective to serve the performance of 100mbps. Various network interface cards (NIC) can be used to set to offer the internet connectivity in network in wired and wireless manner. Cheaper NIC may have high collision and disturbance in services. Addition to switches, cables and NIC, organization may need to update the hardware for port connections. In order to achieve performance of 100BaseT, it is recommended to use the standard devices and cables in network infrastructure (Rosen, 2014). Twisted Ethernet cable can be used to connect the end users in networks. Network interface card can be used to connect the cables to desktop of users in network. Hubs and switches play a vital role to expand the network and to distribute the bandwidth among number of users in network. For fastest possible throughput, organization can use twisted cables those are according to standards in industry so that maximum speed can be utilized from the network without high number of data packet lost and collisions in cables. Dedicated connection with switches in start topology is helpful to deliver the possible fastest throughput in end user systems. (Ciampa, 2012) In order to secure the payroll department, the network can be protected with well-configured firewall systems and also the switches associated with payroll system can be safeguard to have physical and logical access by unauthorized users. In network closet, devices like switching and routing, firewalls, cable terminators, patch panels, telephone punch block and alarm systems can be kept as these devices need the security and safety to ensure the proper working of network. Circuit breaking and video systems also can be put inside the closet to prevent the user access (Panko & Panko, 2015). Why should we have separate databases and a data warehouse? Data warehouse collects the information from the multiple sources in organization and integrate the information to help in decision making and analytic data creation. It is recommended to keep the data warehouse and databases separated as the organization may have multiple databases according to departments and direct access to database may lead the damage the consistency of data warehouse also. Database stores the information in normal way and used to perform the transactional operations. At other side data warehouse is used to store the information to use later as an approach to historical data for decision making. Proper normalization and integration is used to enhance the data warehousing. For security reasons and consistency, databases are kept away from the actual data warehouses (Jarke.et.al.2013). Why don't we just have one large database for all our data, both current and historical? One large database to store all the information of the school is complex in nature and has issues of poor performance. If organization use the single database, the database will become complex to store the information and to integrate the information from multiple sources in organization. The difficulties also will be faced in high access time as the query needs to go unnecessarily through the each record in between the target information in databases. Overall access time will increase at user end so performance will does down. For a single large database and related operations, high processing power is also required. It will enhance the cost and maintenance on database (Coronel & Morris, 2016). In comparison of single large database, every department in school can has own database as it will help to accomplish the queries on low processing systems also. The security and permission setting also will become effective and easy. Faster performance and high reliability will be achieved with segmented databases. Separated databases help to attain high speed and security to access current or historical data (Ambler, 2012). How would we use a data warehouse, and how would it help this high school? Organization can make benefits in term of high return in investments as the overall business intelligence will increase due to multiple sources of information in data warehousing. The school organization also will achieve the efficiency and effectiveness in performance on execution of queries on databases.Enhance data quality and timely access helps the organization to prepare sustainable strategies. Are there other information systems we should consider? Decision supporting systems: systems those are used to present the information in analytical and observable manner so that decisions can be made to overcome the issues. Decision supporting systems in school can be used to manage the profitability, investment and other strategies to sustain in comparison of other schools. Better resource management and strategic decisions can be accomplished with decision supporting systems. 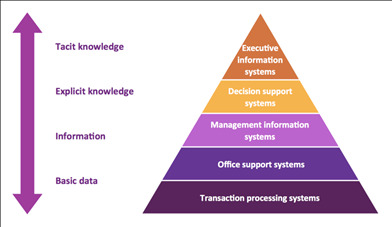 Fingertip and click-base are some of the popular decision supporting systems (Rainer.et.al.2013). Transaction processing systems (TPS): school needs transaction processing system to handle the finance flow in various operations of organization. TPS helps to collect and process financial data in school. Organization can make benefits with high performance, consistency and reliability in transactions. Annual fees and salary system can be made effective with Tipalti and Paysafe software. Office automation system: collection of raw data and processing in various formats to save and send the data are some of the basic functions of office automation systems. School management can use this system to enhance the data acceptability, sharing and collection from various sources like teachers, members and students (Beynon-Davies, 2013). Backup, electronic transfer and printing are other essential duties of office automation system for school. How would a mobile wireless network impact the educational process here? Mobile wireless network impacts the educational process as the mobile devices like laptops and Smartphone can be used in class rooms to make the education more effective. Also the wireless network can be used to connect with teachers those are in classes or other departments or in other networks. Wireless has added the services to school management in centralized control on devices, scalability to various departments, automatic student and staff registration through online systems and in time load balancing and wireless visibility. School management can reduce the cost and maintenance with the help of wireless connectivity. The organization has enhanced the learning system through scalability in network (Loo.et.al.2016). User registration and device management can be centralized to assist the students in education. 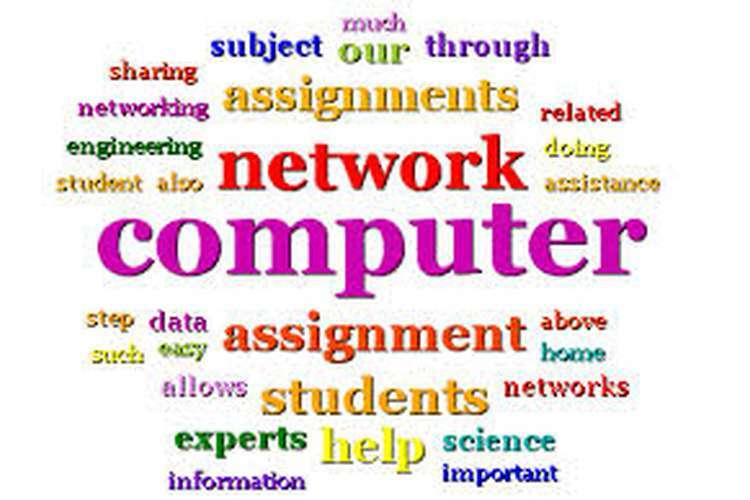 Computer Network Information Assignment Help of the school can be improved as local area network can be designed which may be combination of wired and wireless connections. School management can prefer the switches to segment the various departments, labs and class rooms so that cost and maintenance can be reduced and fault in network can be easily identified. Proper use and configuration is required as a recommendation for school to safe the network from external attacks. Firewall can be used to filter the incoming and outgoing request of users for better security (Meng.et.al.2016). Ambler, S. (2012). Agile database techniques: Effective strategies for the agile software developer. John Wiley & Sons. Ciampa, M. (2012). Security+ guide to network security fundamentals. Cengage Learning. Coronel, C., & Morris, S. (2016). Database systems: design, implementation, & management. Cengage Learning. Destercke, S., Buche, P., & Charnomordic, B. (2013). Evaluating data reliability: an evidential answer with application to a web-enabled data warehouse. IEEE Transactions on Knowledge and Data Engineering, 25(1), 92-105.